Spring is here and it's time to get some new spring clothes right? 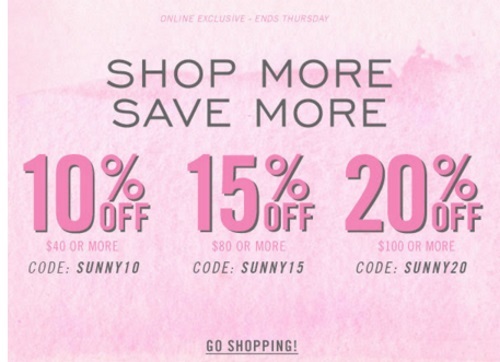 Forever 21 is offering a nice discount now during their Shop More, Save More Event! Enter the promo codes below to save on your purchase! Offer ends Thursday, April 21, 2016. Click here to shop Forever 21.